You had a hard day at work, and you're looking forward to some "relaxation therapy." 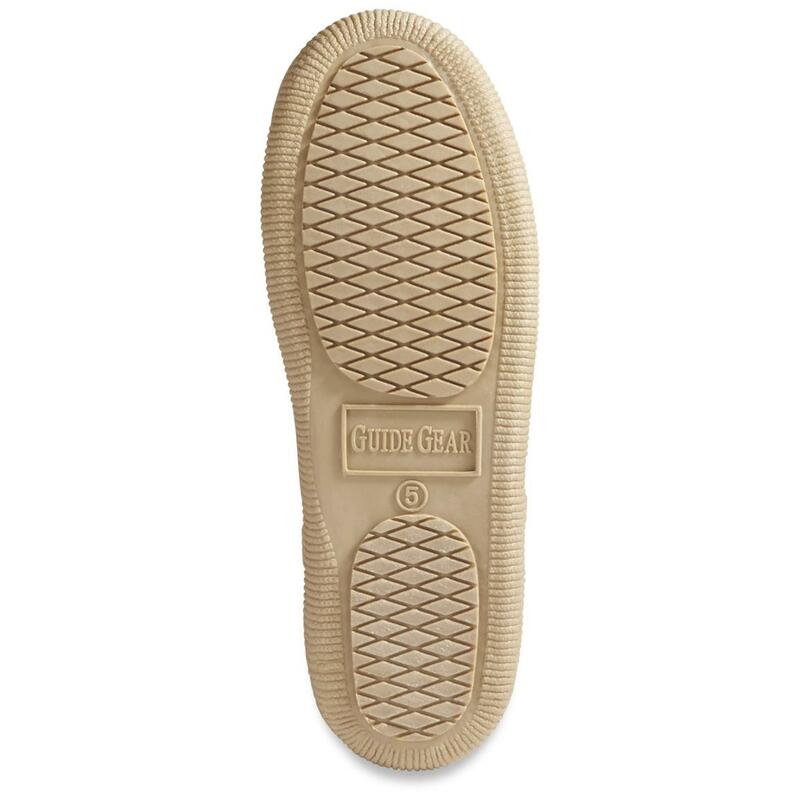 These are it, our very own Guide Gear Bootie Slippers for the ultimate in "ahhhhh." The sheep's wool-blend lining is soft, warm, comfortable, breathable in a word, perfect! 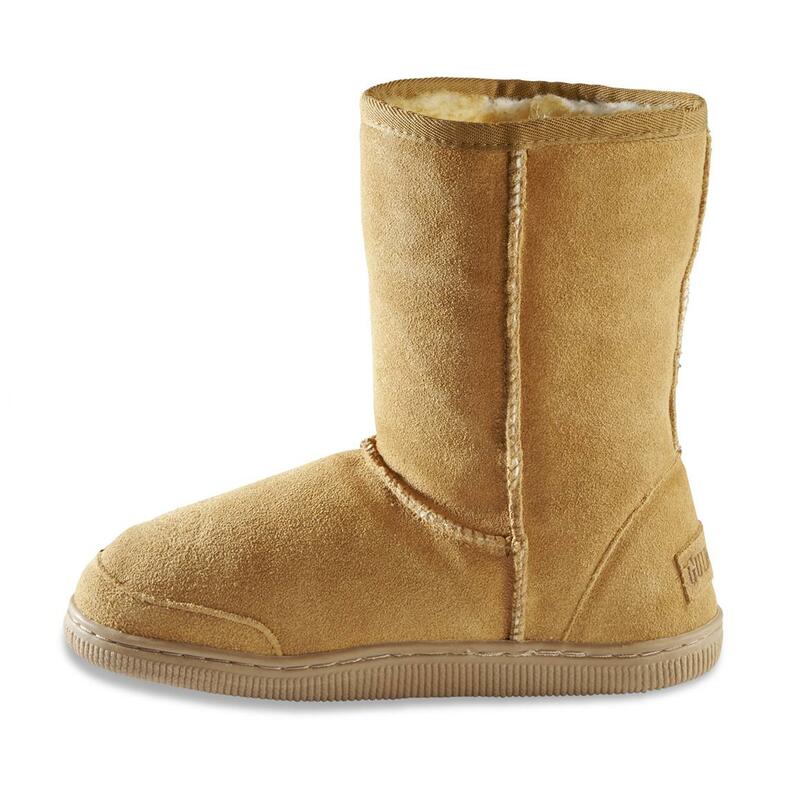 Easy-on/easy-off, soft on the outside, amazingly plush on the inside, with sturdy rubber outsoles that can easily handle a trip to grab a log for the fire. An awesome gift, or gift for you! SOME SLIPPERS ARE TOO HOT. SOME ARE TOO COLD. THESE ARE JUST RIGHT. 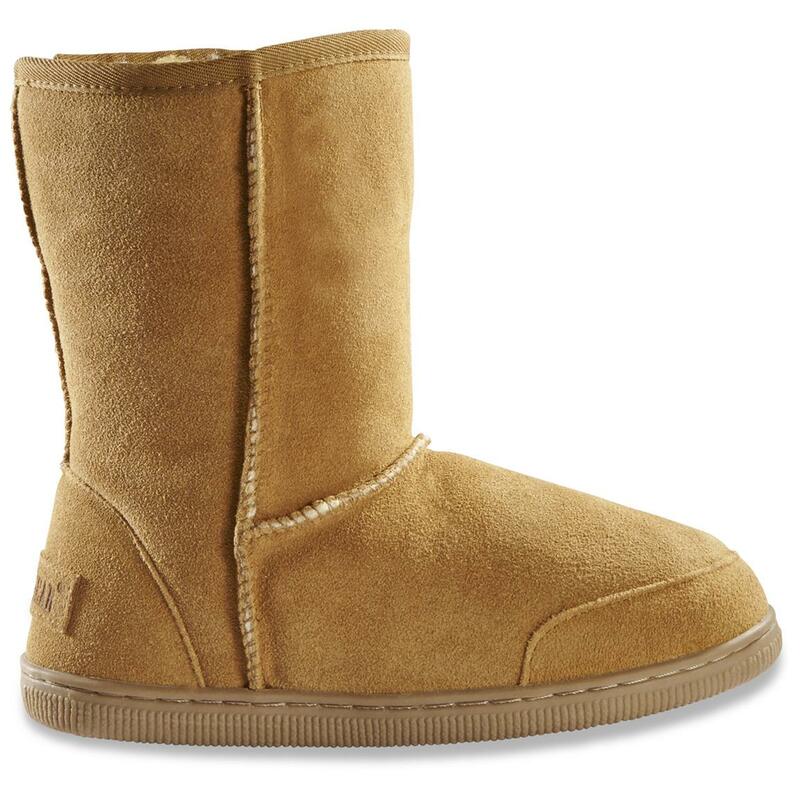 Our sheep's-wool blend lining wicks moisture away from your feet so you're left with toasty-warm, dry feet. Because the only thing as bad as cold feet is hot, sweaty feet. On-trend style. Timeless comfort. Great price. Order today! 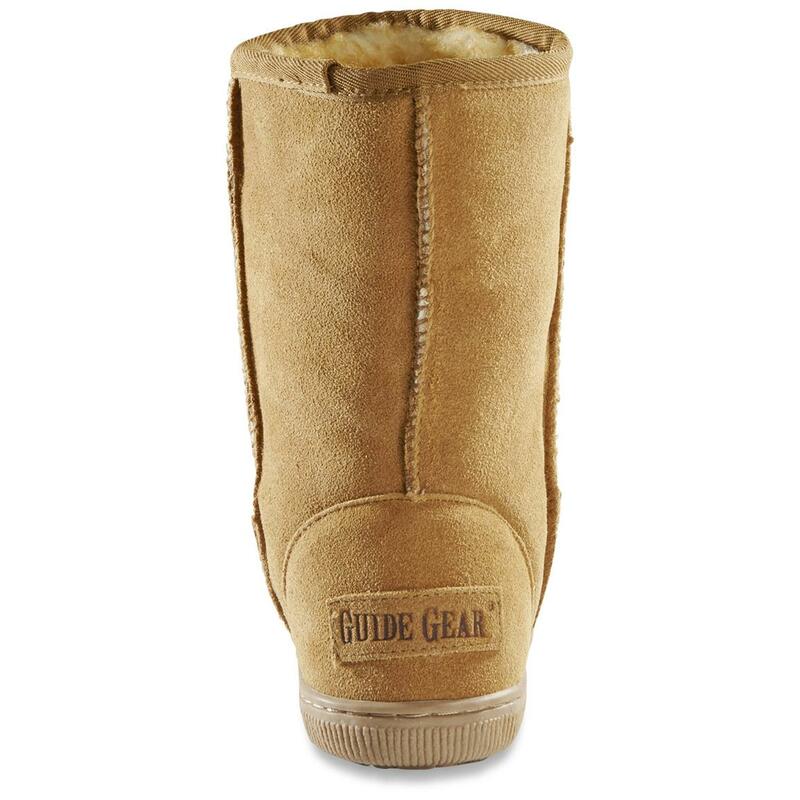 Guide Gear Womens 10 Suede Boot Slippers is rated 4.6 out of 5 by 70. Rated 5 out of 5 by allen from Great price & warm Durable sole and my wife loves these slippers as they are very warm! 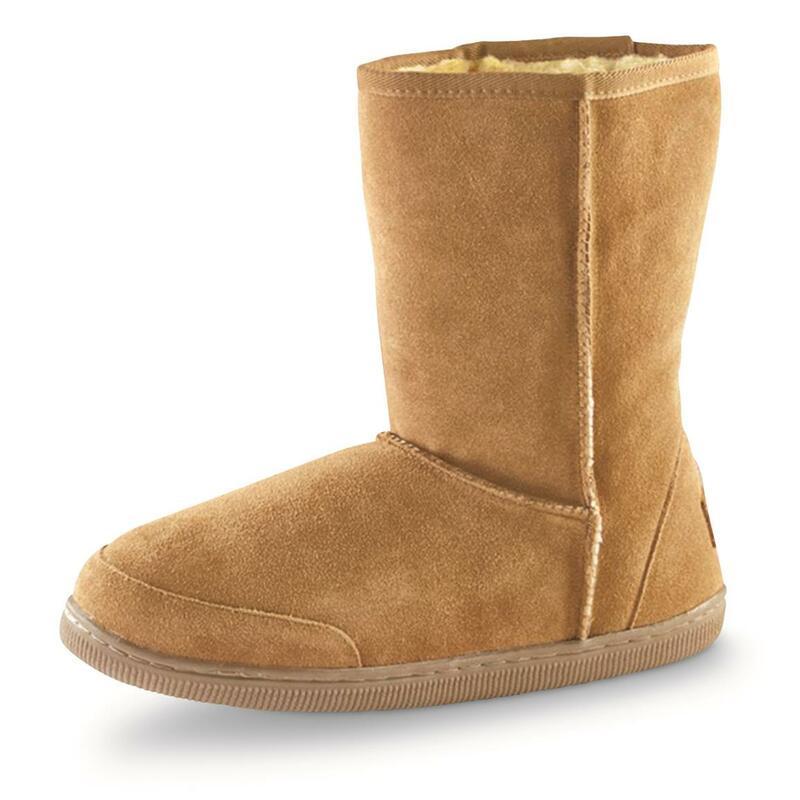 Rated 5 out of 5 by mikemce from Nice Gift Wife loves the slipper-boots, ideal for northeast winters. I got the men's version last year, so i knew they'd be good. Rated 5 out of 5 by Mike from The quality is good, the sole of the boot and also the price I had previously bought this product from Sportsmans Guide and liked it, so when it came time to replace them, I just re ordered another pair. Rated 5 out of 5 by Patsy from I love them, love them, love them!! This is the 3rd time I have purchased these boots in about 10 years. 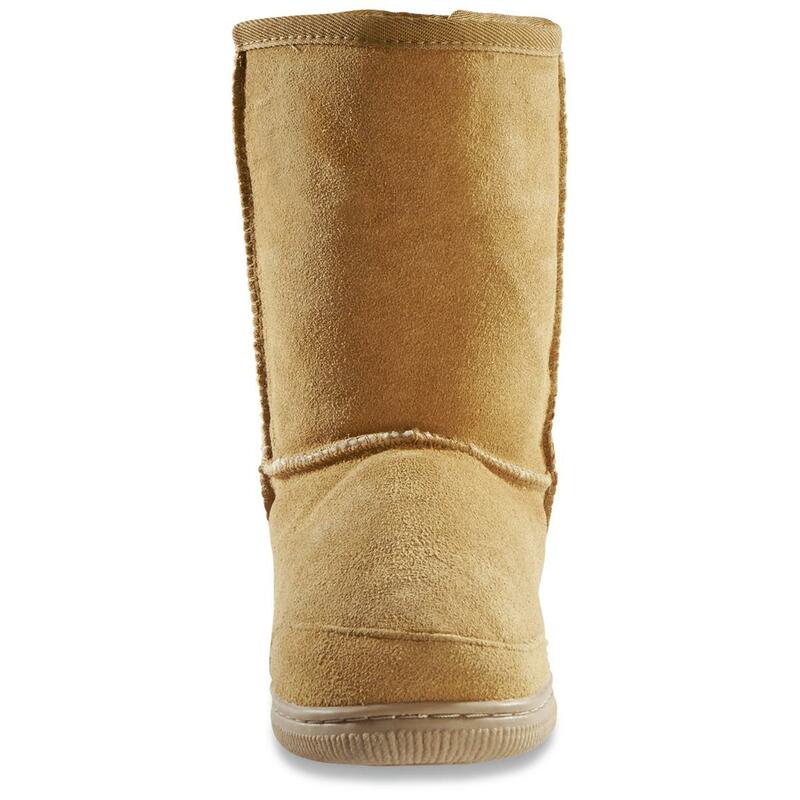 Really great quality, sooo comfortable and I can wear them outside if I choose. Again, I love them, knew I would....and I will always buy these boots :) I do recommend buying a size up, I am a size 9 and the size 10 boots fit great! Rated 5 out of 5 by indian from quality product and warm the suede boot is a Christmas present for a person in northern Mn. i had obtained a pair for my self,and i live in northern Mi. The boot was so well made that i thought i would send a pair to my friend. I had sent it early, before Christmas, and my friend had called and said that it was to cold to wait till Christmas. he is very happy with the product. can be worn as a slipper boot for going out to get wood or just wear around the house. good stuff. 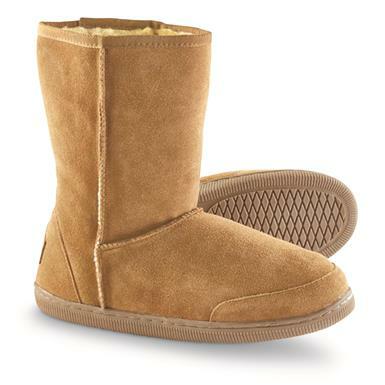 Rated 5 out of 5 by Hokie from Nice Women's Boots at a Great Price Comfy and warm boots for my wife's tooties.